The city of love, fashion capital, literary paradise, Paris has many different guises and it comes as no surprise people say Paris is always a good idea. With so much to see, experience and indulge in, Paris is the classical vacation you have been longing for all summer. 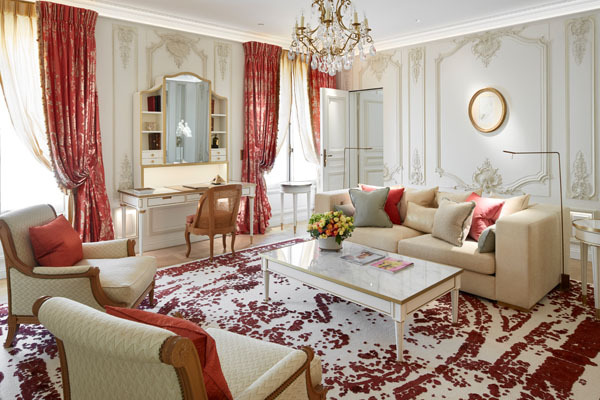 The Le Meurice is your one stop destination for an authentic Parisian experience, combining exceptional 18th Century opulence with contemporary chic to provide guests an impeccable French Palace Hotel—live like royalty in the majestic city of Paris. Located between Place de la Concorde and the Louvre, Le Meurice is ideally located for all your experience needs, whether it be fine dining at some of the leading restaurants in the city, or shopping for couture or simply the need to explore the culture and romance Paris has to offer. Le Meurice comes with its own rich history ever since it opened in 1835. 2017 marks the 10th edition of the Meurice Prize for Contemporary Art, which is celebrated as Le Meurice prides itself with a long standing bond with artistic creation. The walls are veiled with hidden secrets and stories from those who have come and gone, like the great Salvador Dali, who regularly graced the hotel with his presence. To this day, countless celebrities and notable figures have visited the divine hotel and restaurant Le Dalí, in honor of the master painter himself. Le Meurice takes pride in the relationship it shares with many artists to this day, making it a fitting hotel in a city long associated with fine art and literature. 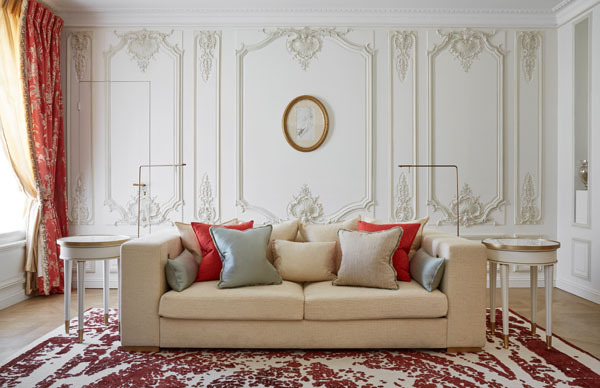 In 2016, celebrated designer Phillipe Starck and daughter Ara Starck reimagined the public areas, exploring the surrealist universe of the life, structure and soul of Le Meurice. Starck drew inspiration from Salvador Dali to create a surreal yet elegant dining room, complete with pink copper light fixtures with silk shades to touch upon the elegance, and white-marbled topped tables and sixteen stately added columns that bridge the new carpet to accentuate the illustrious of a Palace. Starck added modern touches to the Versailes inspired dining room of Restaurant Le Meurice including iconic Eero Saarinen Tulip chairs and a contemporary carpet complementing the ceilings existing 18th century inspired fresco. Highly acclaimed chef, Alain Ducasse is the master mind behind the hotel’s fine dining experiences at the two Michelin-star restaurant. Wine and Dine in what has been hailed one of the world’s most beautiful dining rooms, offering esteemed guests only the finest French cuisine. Alternatively, the hotel is also home to the elegant restaurant Le Dalí and Bar 228. Guests can expect to be mesmerized the magnificent ceiling mural painted by Ara Starck, while indulging in Mediterranean flavors. Transform your nights with the nightly live jazz at Bar 228 where lavish cocktails are served in an intimate setting, expertly crafted by an accomplished bartending team and lead by the celebrated bar director, William Oliveri. At Bar 228, the familiar English club atmosphere was updated with nods to 18th-century France, honored with a Carrara marble Bar, distressed brass and a Corian top to immerse the atmosphere with character and sophistication. The Galeri Pompadour is added as an extension with marble-topped tables, pink copper-rimmed mirrors and a medallion portrait gallery of 18th-century personalities decorating the backs of the leather arm chairs. Guests can choose from a range of rooms and suites with distinct themes on each of the seven floors, each capturing the elegance of 18th century design. 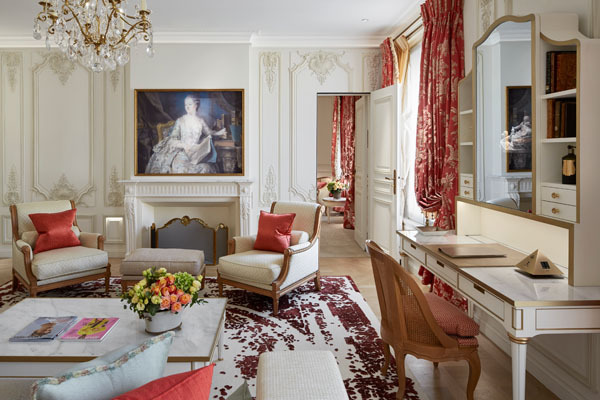 For an imperial stay, the Pompadour suite, created by Charles Jouffre is dedicated to Madame de Pompadour, a patron of the arts and a symbol of femininity and passion, which Charles captures effortlessly in this space, with the added touch of timelessness and history encompassed in the furnishings and symmetry of the room—and everything in between. The suite, accessible through a private entrance provides the luxury of a spacious sitting room, grand bedroom and exquisite marble bathroom. All three rooms in the Pompadour Suite are in harmony—the pastel tones of the paneling work with the luxurious fabrics, the rose copper bedside lamps form an unconscious link with the work of Starck. The rooms invite guests to stay in comfort and style with the plush king bed with Garnier-Thiebaut linen and Muhldrorfer pillows, while also being equipped with the latest technology and amenities needed for a perfect Parisian respite. The Pompadour Suite’s designers drew inspiration from a jewelry technique, which consists of hiding a piece’s setting in order to show only the sparkle of its precious stones, when installing invisible yet omnipresent, up-to-the-minute technology—the space is completely sound proof, televisions are concealed behind reproductions of paintings, switches control lighting with maximum precision and complete darkness can be achieved with a remote control for convenience. At the same time of being a luxury escape, Le Meurice is the ultimate Parisian experience for families, with its offering of a kid family program, which is guaranteed to keep your little one entertained, while cherishing some quality family time. Upon arrival, children are given a “passport,” which tales their family on a discovery of Paris’ must-see treasures. The passport maps out a trail of the city’s most magical sights to inspire creativity and imagine, while also listing the kid-friendly cuisine served at the hotel. Le Meurice also offers a tailored experience with cruises on the Bateaux-Mouches, or visits to the Jardin d’Acclimation and the Parc André Citroën. For a family relaxation day, Spa Valmont is the ultimate destination where everyone in the family can be pampered, with facials, massages, manicures and at the end, all guests receive a special gift from the hotel. The Le Meurice offers guests a world of luxury, history and inspiration as it prides itself in offering the finest accommodations and experiences fit for a royal family. Even Pablo Picasso, the master painter and his first wife Olga Koklova hosted their wedding dinner at Le Meurice in 1918. With such a rich history of notable figures walking the same halls you will roam, there is no better way to experience the city of Love than with the essence of its history and soul. 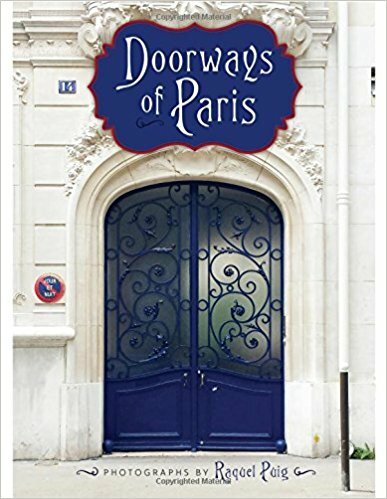 Raquel Puig is the creator of the popular Instagram account doorwaysofparis. The Barcelona native has lived in several countries (including the US) and speaks four languages, but now calls Paris’s fourteenth arrondissement home. When she is not traveling the world as a health expert for Danone, she walks the streets of Paris, camera in hand, with her French husband.